When your spouse is diagnosed with Alzheimer’s or any other type of dementia, roles begin to change. Quite often the caregiver spouse becomes responsible for all aspects of care and it gets exhausting and one experiences a range of emotions like frustration, grief, anger, sadness and guilt. In the early stage, your loved one should be involved in their medical care. 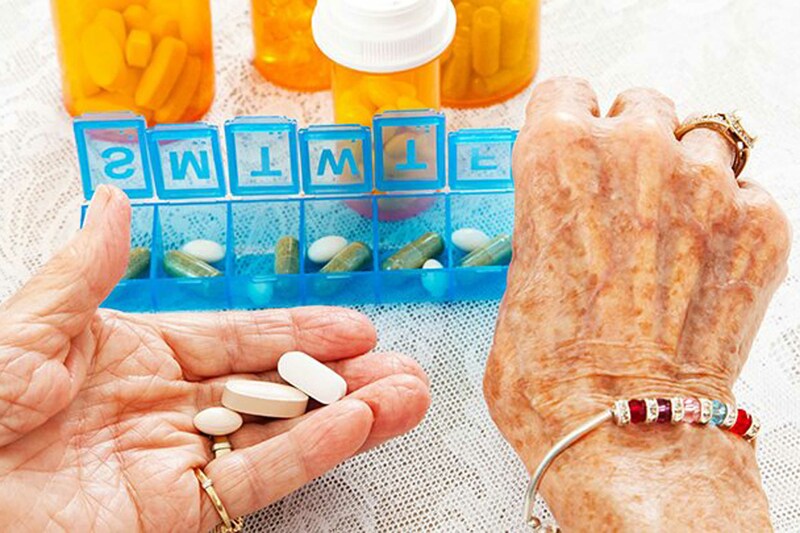 In the later stage, it will be difficult for your spouse living with dementia to understand medication management and purpose of hospital visits. 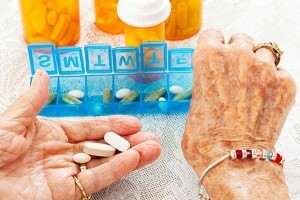 Many dementia patients are also prescribed medicines for other health problems. When so many medicines are prescribed the spouse should have proper knowledge about the purpose and benefits of the medicines and their side effects. Develop a routine for giving the medication: Ask the doctor, if the medications should be given at a fixed time of the day, with or without food. Use a Pill Box Organizer: Using a pill box is an easy way to keep the medications organized, and help avoid missing any dose. Create a medication log: Create a list which includes the name, purpose, dosage of the medication. Learn about the side effects of the medications. When you are giving medicines to your spouse with dementia, make sure you both are calm and are in a safe environment, with no distractions, like TV or other noise. Use simple and clear language. Use short and simple instructions, which is easy to understand. Keep in mind that no pill or tablet should be crushed without consulting a physician, as it may become ineffective. Besides medication management another challenge for the care partner is – managing the doctor/hospital visits. Hospitals can be disorienting and disturbing for someone who has been diagnosed with this disease. Comforting the person living with dementia is important during the visits. Preparing to take your spouse with dementia to the hospital can make a huge difference in how much stress both you and your spouse will experience. Planning hospital visits can make the whole process easier and comfortable for both of you. The first thing is to give enough time to your spouse to get ready for the visit. Hurrying them up or keep them waiting for too long can be counterproductive as the patient may become agitated. If possible enroll another family member or professional caregiver for the visit. This will ensure that someone is with the patient while you are moving around in the hospital for paperwork etc. In case your spouse has to be admitted for some procedures or requires hospitalization you may have to take some further precautions. Night stays in the hospitals can be very disorienting for dementia patients. While the dementia patient is admitted in the hospital, you can take few steps to make the visit more comfortable. Some of the common concerns during hospital stays are communication, nutrition and safety. Being prepared for the planned hospital visits and emergencies can reduce some stress. Comforting your loved one is important, give them something to hold such as a blanket or a book, which is familiar and comforting to them. Make sure you have all the prescriptions and questions ready for your doctor.